Hey guys! I'm not sure if this question should go here and sorry if it doesn't belong... So iv'e been wondering about something that people use for ladders out of their hermit crab pools,I really would like to purchase it but I have NO idea what it is. I will leave a link down below and the thing I am talking about is on the 4th image. Underneath the picture it says "DIY hermit crab pool ramp". I would really appreicate it if someone could indentify this object for me Thanks in advance!!! sorry for the crappy picture. 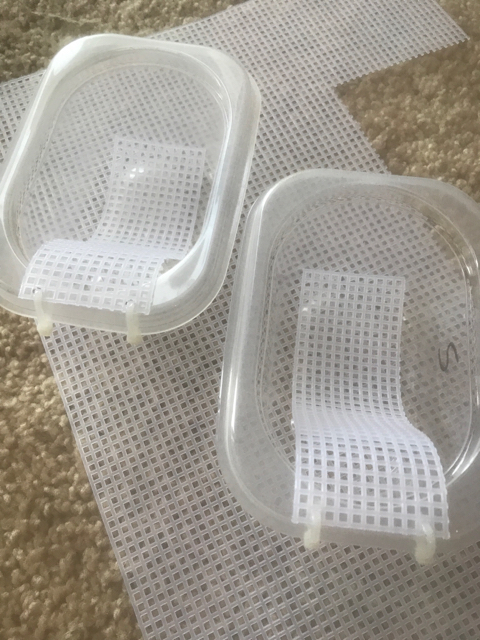 my lens cover broke..
it is called ‘plastic canvas’ and You can find them at any hobby/craft store(joann, hobby lobby or michaels) They are about 80 cents but the stores always offer 40% coupon.